My children love to explore the world around them. Today we went on a “5 Senses Walk” along the trail by my house. It was an amazing adventure discovering all the things we could See, Touch, Smell, Taste and Hear! “If You Were Me And Lived In…Brazil” will take your child on a journey to Brazil, where you both will experience the sights of this diverse country from your armchair. 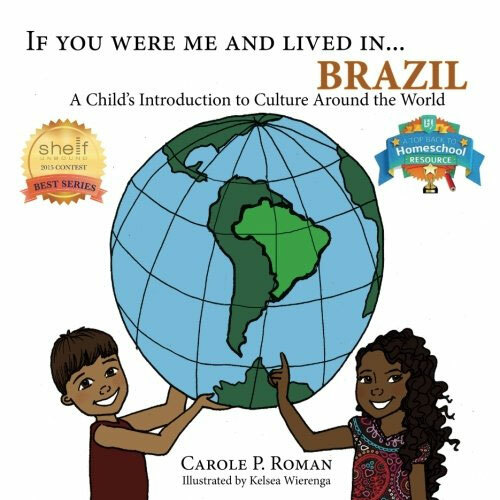 “If You Were Me And Lived In…Brazil” is another installment in the “If You Were Me and Lived In…” series of books by Carole P. Roman. This book is an introduction to the culture of Brazil from a child’s point of view. This book follows a similar format to the others in the series. In each book we discover what children in each part of the world eat, do for fun and even have for names. I love that these themes are followed throughout the series. It is fun to compare the similarities and differences between each region. 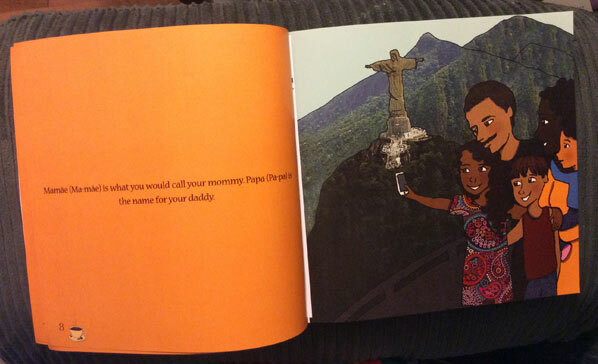 “If You Were Me And Lived In…Brazil” teaches us how people in Brazil say Mom and Dad. We also learn about the games children in Brazil play. One of the games is called “Cinco Marias”. Ms. Roman explains how to play in the book and my children and I look forward to trying a game of it. I love that the author shares a simple game so that my children and experience games first hand that children around the world play. I love how the illustrator incorporated real world images with her illustrations. My favourite image is of the Christ the Redeemer. I love how she traced the outline of the statue to help it stand out from the rest of the image. My children have seen pictures of it before in a cartoon they watched, and through this book they discovered that it is a real statue and want to learn more about it. The author helps the reader learn unfamiliar terms by putting a pronunciation guide right after the term. This is an amazing feature for any reader, new or old. When the author is taking about the “Brazilian real” the guide is extremely helpful. I would have pronounced real as “ree–uh l” but the guide instructs me that it is actually “rey-al”. “If You Were Me And Lived In…Brazil” is a wonderful introduction to the Brazilian culture that will encourage your child to explore the world around them. 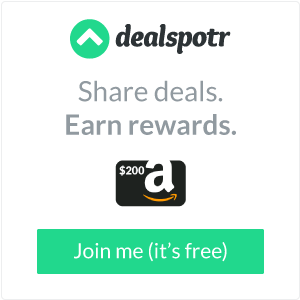 Get social with the author! Visit her Website, Facebook, Twitter, Blog, or purchase her book on Amazon! Or check out my reviews on her other books in the “If You Were Me And Lived In…” series of books. Disclosure: I received a complimentary copy of “If You Were Me and Lived In…Brazil” in exchange for my review. All opinions are 100% my own.